When you're getting into a state of flow the line between tool and designer blurs, giving you the freedom to explore the problems you're trying to solve. To help get you there - and save you from unnecessary clicking, typing and scrolling - we've put some handy keyboard shortcuts at your fingertips. Learn more about the inspiration behind Figma's Keyboard Shortcuts in our Medium post: Figma's New Finger Tips. When you have a file open and are working in the Canvas, you will have access to all of Figma's Keyboard Shortcuts. A toolbar will appear along the bottom of the screen. This gives you access to all the keyboard shortcuts, without covering up what you're working on in the canvas. 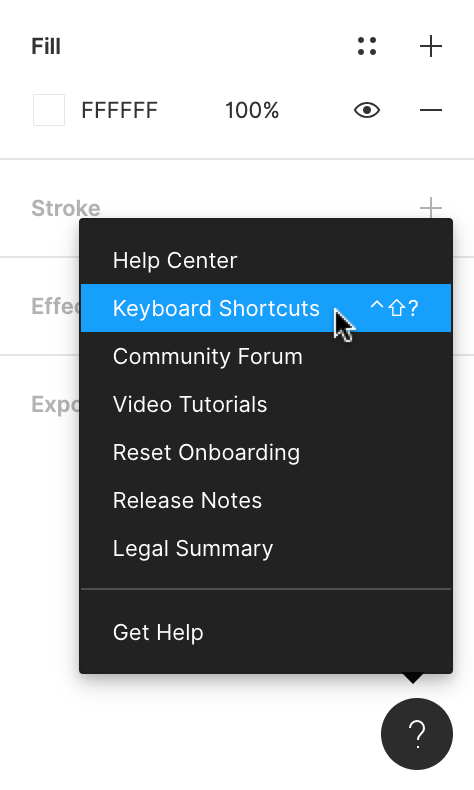 You can continue designing in Figma while viewing the keyboard shortcuts, or close out of the Keyboard Shortcuts using the "X" on the right-hand side. Tip! If you're a macOS user, your shortcuts will be tailored to your Mac keyboard. Whereas Windows users will see the shortcuts formatted for Windows devices. No guesswork or Googling required. You may have noticed that some of the shortcuts in your lists show up as blue, while others appear as grey. We'll display a shortcut as blue once you've used it. 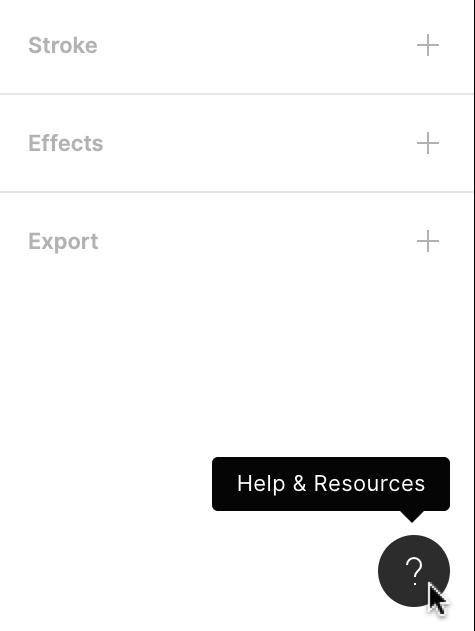 This allows you to see at a glance which shortcuts you're using, as well as allowing you to discover new shortcuts to help streamline your Figma workflow. Try out a new shortcut now to see it in action! Tip! We've used some of the simplified keyboard symbols to indicate which keys to use. Hover over any symbol you're unsure of to see the full expression.